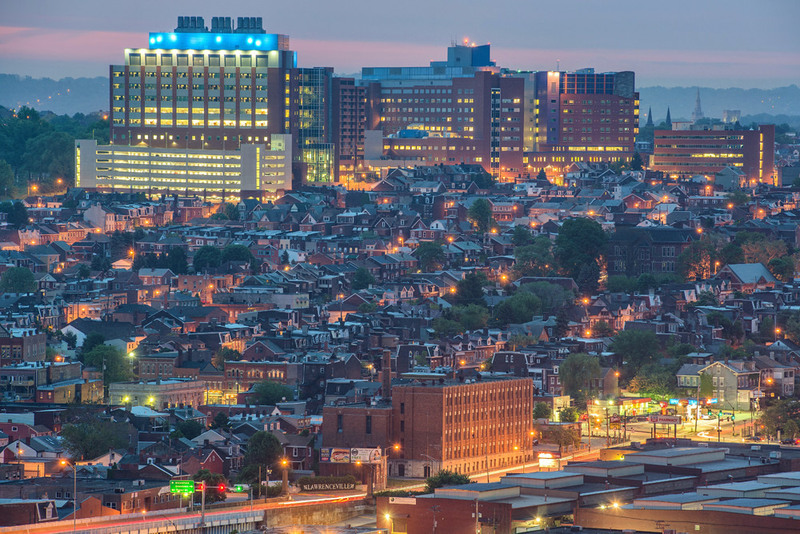 Explore some of Pittsburgh's East End neighborhoods. Each one offers its own unique flavor and is easily walkable. Since most neighborhoods are in close proximity to each other, it's easy to explore several in a day, making this a great day or weekend trip. Square Cafe. Photo Credit: Yelp User Bill L.
Begin the day in Regent Square, a charming tree-lined community with a small-town-within-a-city feeling. Have breakfast at Square Cafe. The pancakes (try the lemon-blueberry) and crepes are very yummy. They also have really good hash. If there's a line to get in - and that's a good sign! - no worries, it moves quickly and the cool vibe of the place and the delicious food are well worth the wait. Head to Point Breeze (1.5 miles from Regent Square) where you'll find old-world charm and gracious homes set back along wide streets. 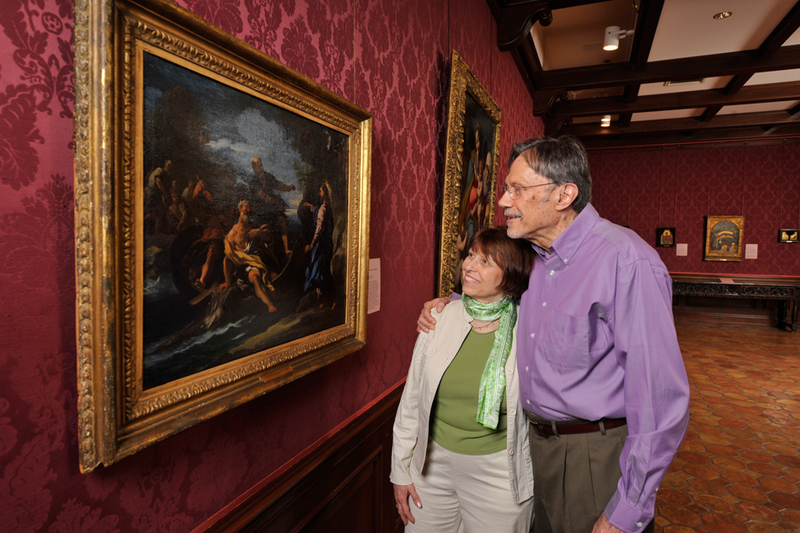 Visit The Frick Pittsburgh, a complex of museums and historical buildings located on over five acres of lawns and gardens. The Center is devoted to the interpretation of the life and times of industrialist and art collector Henry Clay Frick. Tour Clayton, the Frick family home. It's one of the best preserved Gilded Age mansions in the nation. Also on the grounds is the Art Museum, Car and Carriage Museum, The Greenhouse and The Cafe. 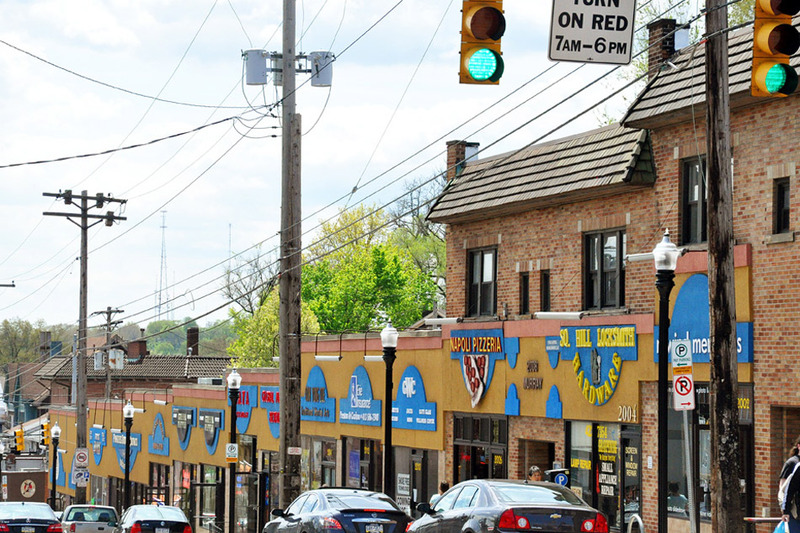 Next stop is Squirrel Hill (2 miles from Point Breeze), Pittsburgh's largest neighborhood, which centers around its main business district situated along Forbes and Murray Avenues. Home to a diverse array of casual eateries and small shops, take a walk and duck into some quaint little shops. 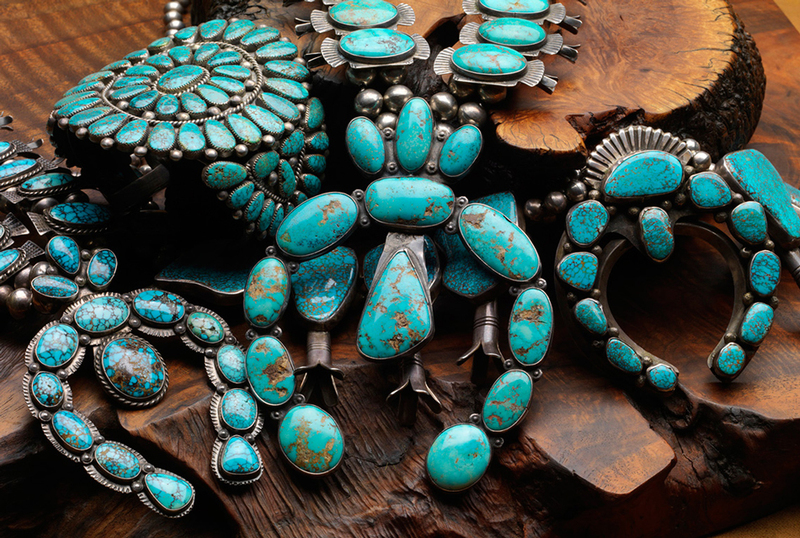 Ten Thousand Villages features handmade gifts, jewelry, home decor, art and sculpture and more, representing the diverse cultures of artisans in Asia, Africa, Latin America and the Middle East. Grab some vintage clothing at Avalon Exchange. Indulge your sweet tooth at Gaby et Jules, a great (but expensive) French pastry shop. Or catch an afternoon flick at The Manor, a quaint old movie house showing blockbuster movies and indie films. 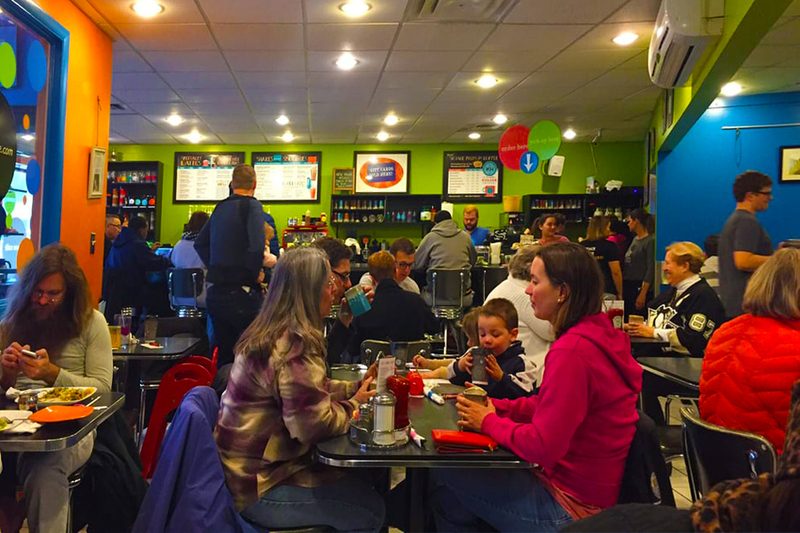 Read our blog all about Squirrel Hill for more ideas of what to do in this neighborhood. Onward to Shadyside, (1.9 miles from Squirrel Hill) an upscale neighborhood filled with stately Victorian mansions and carefully restored homes. At its heart is Walnut Street, dotted with boutiques, shops, cafes and restaurants. Stroll along Walnut Street and duck into the many high end shops and stores. Browse art at Four Winds Gallery; pick up something for your home at Feathers; treat yourself or a special person with a little bauble at Alex + Ani. La Feria Restaurant and Store. Photo Credit: Lisa S.
For lunch, check out La Feria on Walnut Street. 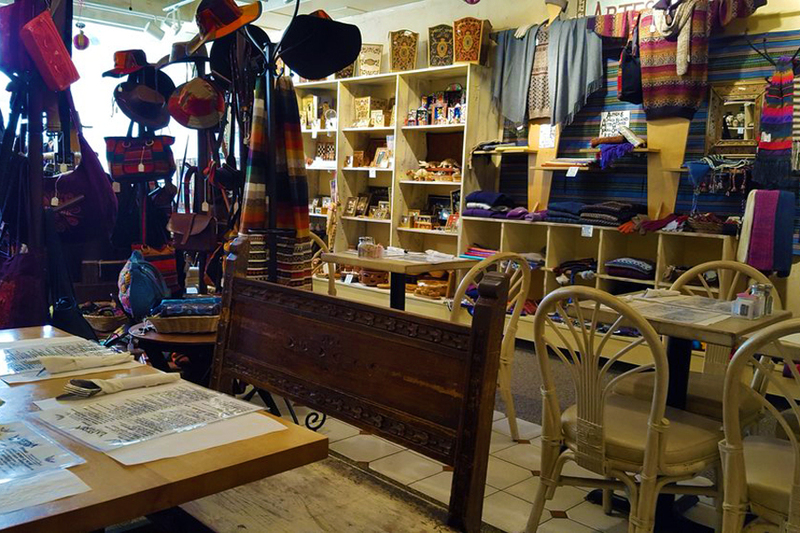 It is a unique restaurant serving mainly Peruvian cuisine, and it also has a shop/gallery inside that sells Peruvian clothing and folk art. Love that they combined two of my favorite things - eating and shopping - in one place! Everyone Enjoys Pittsburgh Zoo and PPG Aquarium! Just a quick jaunt away is Highland Park (1.7 miles from Shadyside). Visit the Pittsburgh Zoo & PPG Aquarium a 77-acre naturalistic habitat facility that is home to thousands of animals representing hundreds of diverse species. The Zoo is one of only six major zoo and aquarium combinations in the country. 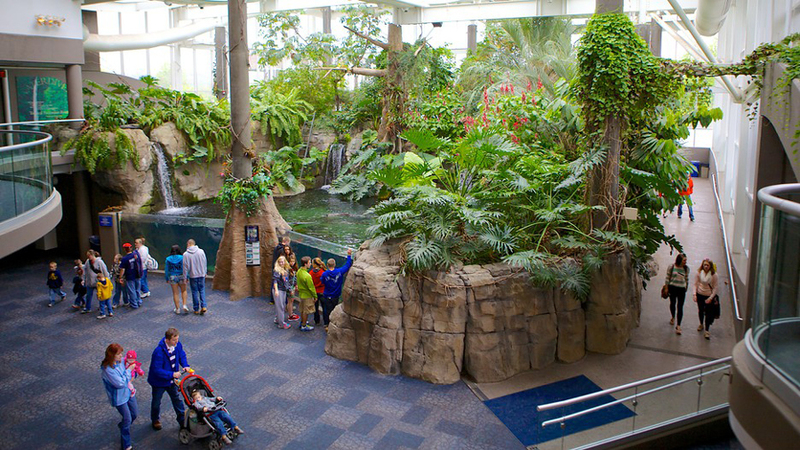 Check out the African Savannah, Asian Forest and Water's Edge exhibits. Note: Spend at least two hours at the Zoo for maximum fun! Head to hipster hangout Lawrenceville (2.7 miles from Highland Park), one of the hottest neighborhoods in the country right now. Butler Street is the main road that runs through the neighborhood. Both sides of the street are lined with cute shops, trendy boutiques, open-late coffeehouses, restaurants and a few microbreweries. Stop for a beer at Roundabout Brewery, a cool, modern little place in Upper Lawrenceville with a nice variety of beers plus growlers to go! In the mood to shop? Head up Butler Street a few blocks to Von Walter and Funk for eclectic gifts for home and garden and beautiful vintage paper. Browse for stylish apparel at Number Fourteen, a chic little boutique; and get your sparkle on right next door at Crystal Bead Bazaar. There's even a bowling alley, Arsenal Lanes. It's been around for decades but now it rocks with nightly themed events like "Rock 'n Bowl." Read our blog all about Lawrenceville for more ideas of what to do in this neighborhood. Church Brew Works. Photo Credit: Yelp user Malary J.
Hungry after all of that walking and shopping? 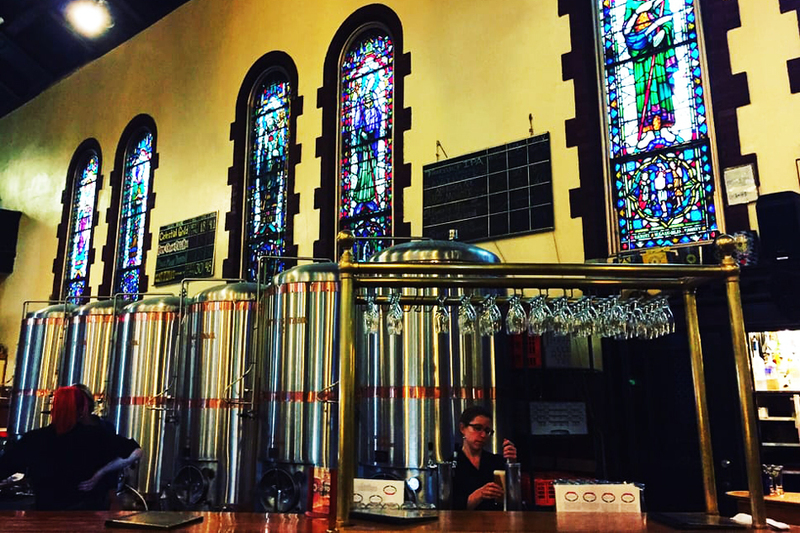 Head to Church Brew Works, a restaurant and brewery housed in an old church. The unique architectural interior is breathtaking and both the food and beer are rich and plentiful. Try the pierogies or the beer battered bison corn dogs. And get the beer sampler so you can pick your favorite brew! If you're looking for a nightcap, head further up Liberty Avenue (about 10 blocks) into Bloomfield - Pittsburgh's "Little Italy" where you'll find the Bloomfield Bridge Tavern with great local and touring bands; Howler's Coyote Cafe a cool hangout to hear local and national rock bands five nights a week; and Nico's Recovery Room, a great place to watch sports or sing karaoke. Ritter's Diner Omelette and Home Fries. 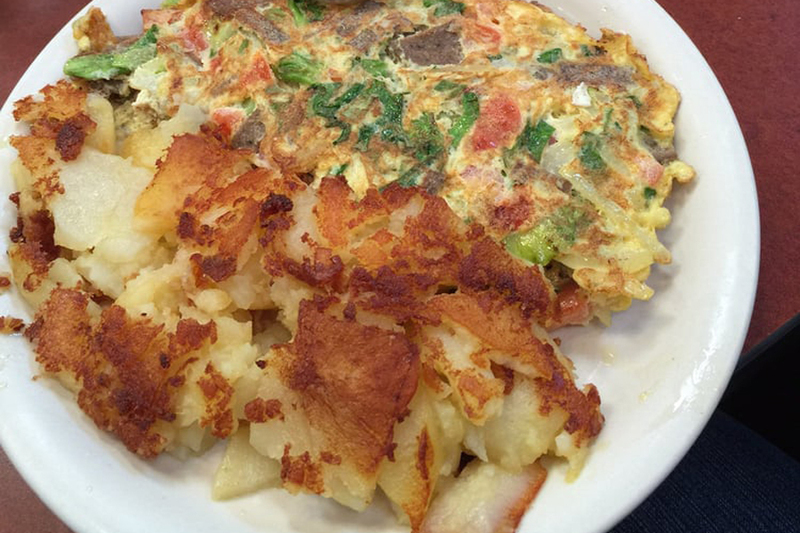 Photo Credit: Yelp User Larissa G.
If you're still not tired after this full day, end the night at Ritter's Diner an old-fashioned joint serving around-the-clock omelettes, sandwiches and other diner grub. They're open 24 hours on weekends and are cash only. What is your favorite thing to do in the East End?